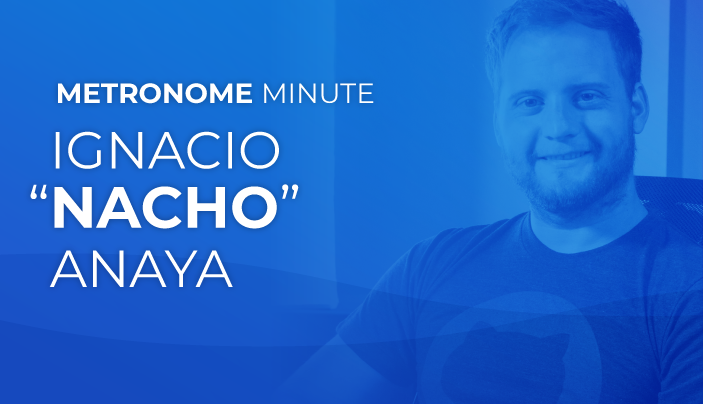 Bloq engineer Ignacio “Nacho” Anaya describes his role in the Metronome project. As part of the engineering team, Ignacio helped build the Metronome wallet, explorer, APIs, and parts of the website. Citing portability as the aspect of Metronome that is most exciting to him, he acknowledges not just the technical challenges associated with building a new cryptocurrency, but also personal challenges new developers in the space may face. Read his full Metronome Minute.